The DFH2KW 2000W Bathroom heater from Eterna is a stylish white appliance with smooth lines and curves, and features an adjustable temperature downflow with a built in thermostat. 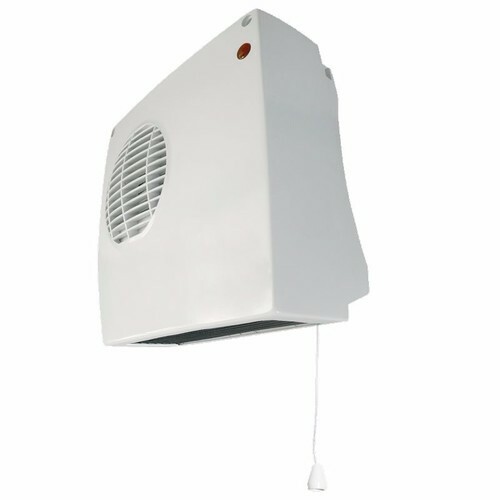 Designed with a long pull cord, this heater is ideal for use in any small to mid-sized bathroom. Features an efficient thermal cut out feature, and an internal load switch that allows for adjustable output up to 2000W according to room size, making this a versatile and safe product. Exactly what I asked for and arrived in good time. Thank you. Item was as stated. Very good price and delivered quickly.